You have to be brave at Shau May, a restaurant where the soup dumplings are large, slippery and served scaldingly hot. They're heavy and easy to drop (especially for those who haven't mastered advanced chopstick usage), and the splashback from the broth can be brutal. After Dean Sin Noodle World, we walked two blocks south on Garfield Avenue to Shau May, a restaurant that's not shy about promoting the wow of its bao. 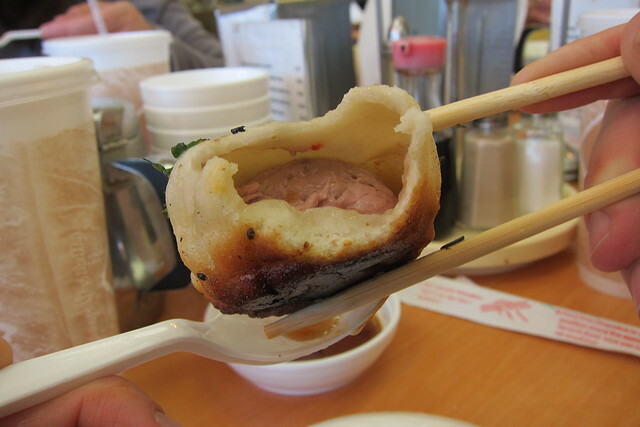 (A giant banner advertises: "Shanghai pan fried small bao is honored as one of the LA Times' top 10 recipes of 2009.") Though this was technically a xiao long bao crawl, Shau May 's specialty is sheng jian bao, a thicker, heartier, pan-fried dumpling. Not all sheng jian bao contain soup, but Shau May's has plenty of it, which is what makes them so killer -- and so challenging to eat. With my first big bite, a stream of hot soup squirted across the table, nearly scalding my companion. 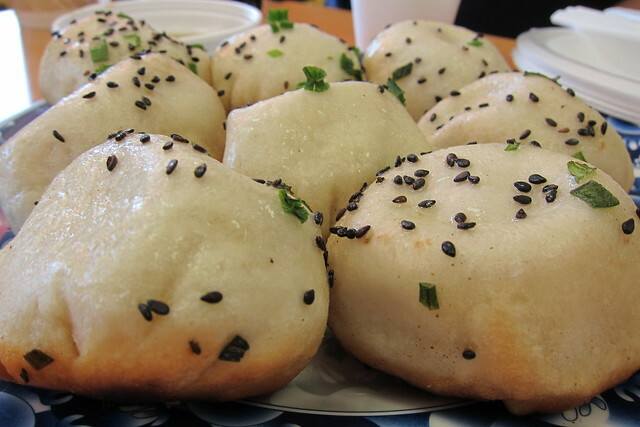 Dotted with black sesame seeds, Shau May's sheng jian bao are pale and chewy on top but brown and firm on the bottom. That's due to some serious pan-frying. The dough is thick all the way around, but it's thickest here at the base. Prior to frying, the thick dough is wrapped around the dumpling and crimped, adding an extra layer topside. The dumplings are then turned upside down and fried, making the top the bottom. The thick dough helps the ball of ground pork, which has a slightly more intense flavor than the meatballs inside Dean Sin's XLB, hold up during the cooking process. Shau May also offers a wealth of cheap food warmed under heat lamps, but if I never deviate from an order of sheng jian bao and a watermelon juice, I'll stay happy. 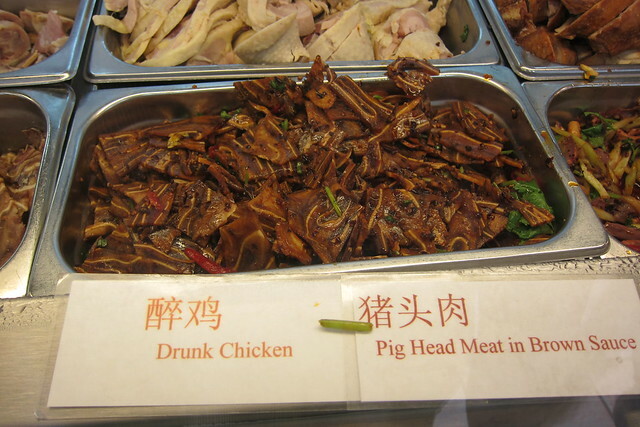 Shau May (in the Kang Kang Food Court): 104 N. Garfield Ave., Monterey Park.